To guarantee a glow, there’s nothing better than a colorful fruit enzyme mask with just the right amount of zing. For that kind of treat, I look no further than Herbivore Botanicals’ Blue Tansy AHA + BHA Resurfacing Clarity Mask. Chicly packaged and smartly formulated, Herbivore Botanicals’ Blue Tansy AHA + BHA Resurfacing Clarity Mask combines white willow bark, which is naturally high in salicylic acid, with papaya and pineapple enzymes to offer skin a deep cleaning experience. Acne-prone skin will appreciate the decongesting, pore-degunking power of this gel mask that somehow manages to keep the sting factor low and radiance power high. Used once a week for a month straight, I noticed my pores appearing clearer with less clogs and more brightness. The congestion I had left was easily extracted thanks to the loosening this mask seemed to provide (isn’t that the best experience?!). 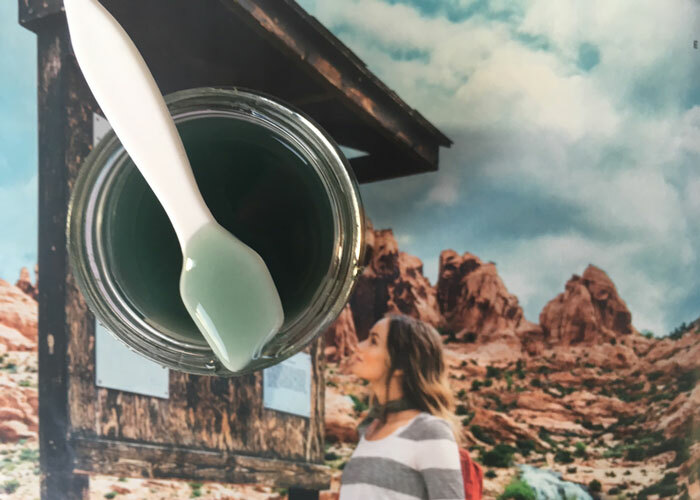 Herbivore Botanicals’ Blue Tansy AHA + BHA Resurfacing Clarity Mask can easily be used on a regular basis without irritation, though everybody’s skin is different; every seven days should be more than enough for your skincare routine. For me, a quarter-sized dollop of this non-sticky blue gel (which smells lightly floral thanks to blue tansy and jasmine) was enough to cover my entire face and neck. I allowed it to penetrate for 15-20 minutes, and while my skin tingled ever so slightly, I never felt uncomfortably hot, itchy or on fire the way I have felt with some very active fruit enzyme masks. For a sensation comparison, I’d say Herbivore Botanicals’ Blue Tansy AHA + BHA Resurfacing Clarity Mask is somewhere in between Juice Beauty’s Green Apple Peel and Tata Harper’s Resurfacing Mask. The texture, however, is very different from the two mentioned above; this is a true gel that’s spreadable and soft. Tata’s mask is a bit more jam-like while Juice Beauty’s mask is a little more liquid. Besides texture, can we talk about color a bit more? Blue tansy has been in the spotlight for a while now thanks to its gorgeous hue and soothing properties. It’s also said to help reduce redness — a nice counteracting ingredient in an enzyme mask if you ask me. It seems that this mask has it all — the packaging, the ingredients, the results and the accessibility. 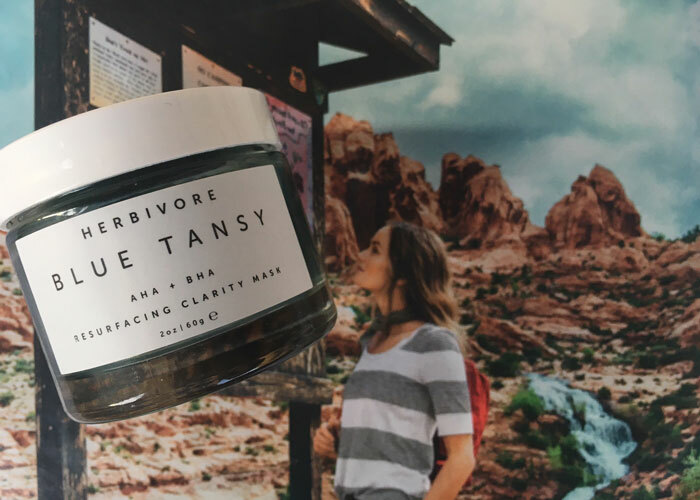 Ready to order online at both Sephora and Amazon, Herbivore Botanicals’ Blue Tansy AHA + BHA Resurfacing Clarity Mask has earned a spot on my favorites list. What a great first interaction with a new-to-me brand! What enzyme masks have you tried lately? Do you mask more than once a week? What products do you like from Herbivore Botanicals? Tell me in the comments section!